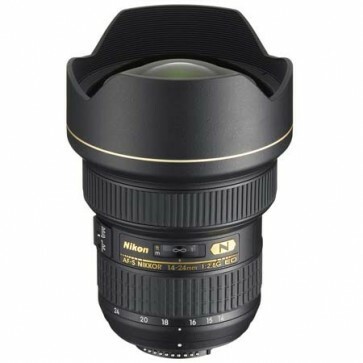 Fast aperture, high-performance, ultra-wide-angle zoom optimized for FX- and DX-format sensors featuring Nikon’s exclusive ED Glass and Nano Crystal Coat.With a fast fixed maximum aperture of f/2.8, the award-winning AF-S NIKKOR 14–24mm f/2.8G ED delivers truly superlative performance in any situation. Nikon’s exclusive lens technologies and innovations in optical design deliver outstanding sharpness, color and contrast, even in back-lit conditions. Tough, reliable, simply exceptional—this is essential glass for serious photographers who demand the best photos and HD videos.